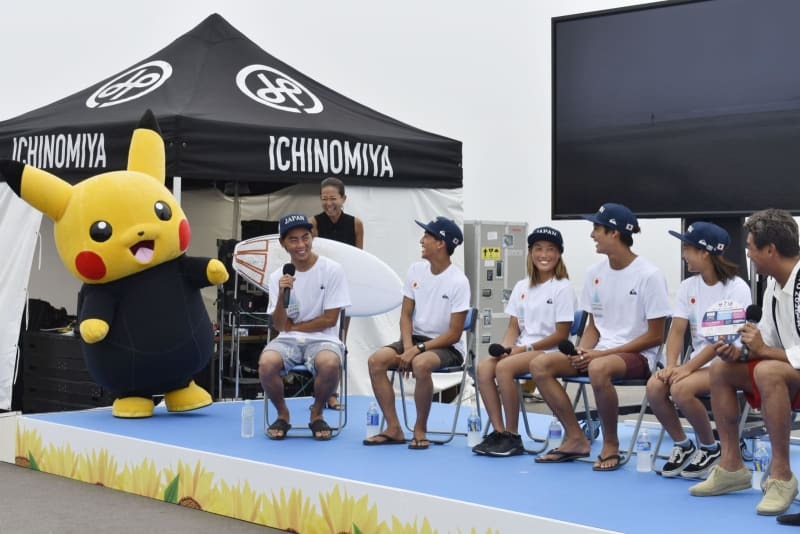 Earlier this year, national sports surfing league Naminori Japan hired Pikachu to help with its marketing efforts. For the very first time yesterday, the Naminori Pikachu mascot made its debut appearance at a Japan surfing meeting attended by 300 people. As expected, Naminori Pikachu came wearing his black surfing suit. No surfing board, though!